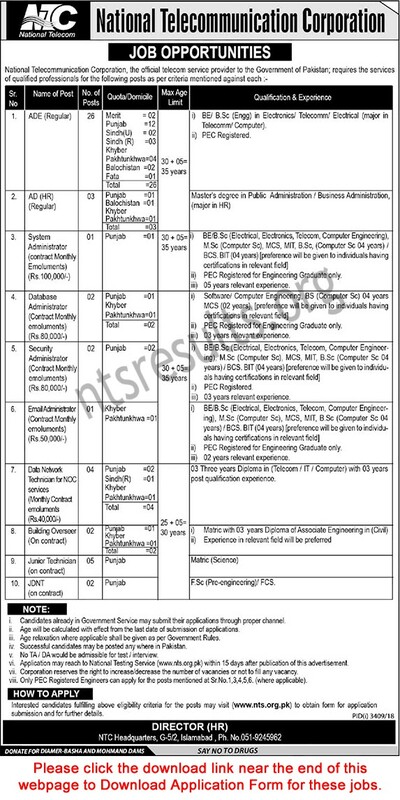 National Telecommunication Corporation NTC Jobs Via NTS has been announce. Last date to apply is Friday, 22nd February 2019. National Telecommunication Corporation (NTC) establish on January 1996 by government of Pakistan under the Telecom Reorganization Act 1996. The main objective was to have an infrastructure independent of all other operators that can be used for the purpose of government communication and as an alternative support for the operators entering the market. Last date to apply is Friday, 22nd February 2019.